I love cooked carrots, but unfortunately have two boys to cook for who do not! However, I've received a lot of them lately in our farmer's market baskets and needed to use some up. So I decided to make some Honey Glazed Carrots as a side dish for dinner. These are super easy and very tasty and you can use baby carrots, or whole, do what the original recipe suggests and throw in some sugar snap peas too or just use carrots - whatever suits your preferences! Bring a large saucepan of salted water to a boil. 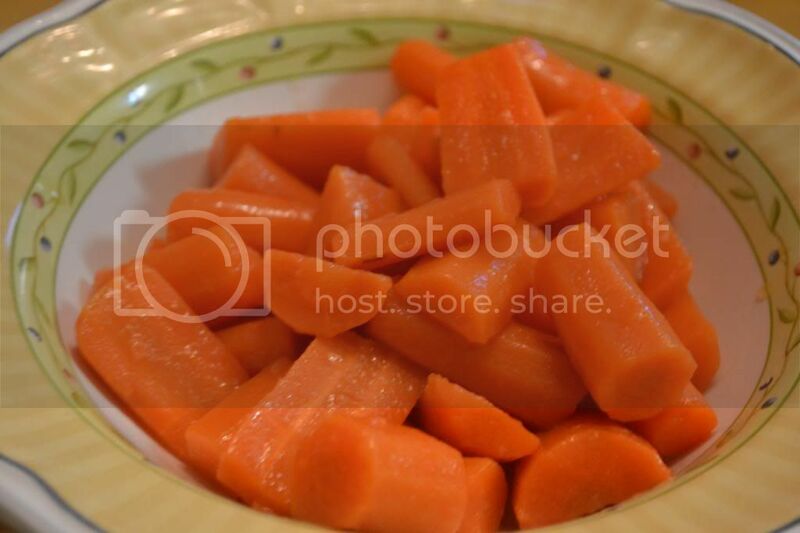 Add carrots and cook until they reach desired tenderness, 10 to 12 minutes; drain and set aside. Melt butter in the same pan and stir in cornstarch. 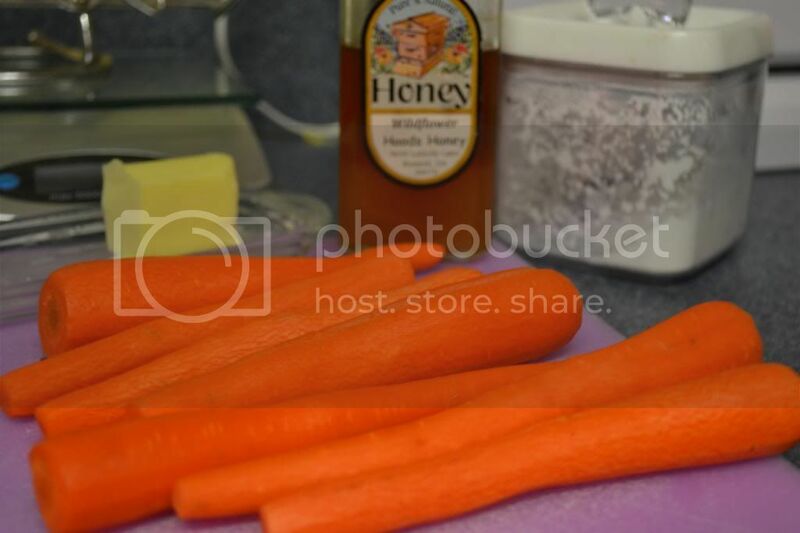 Return carrots and peas to pan and stir in honey. Cook over medium heat, stirring occasionally, until heated through and sauce is thickened to desired consistency.